Video clip synopsis – Harold Holt’s prime ministership represented a major social shift from the tradition and conservatism of the Menzies era, to that of the ‘swinging sixties’. Harold Holt’s Australia is an excerpt from the documentary The Prime Minister is Missing produced in 2008. With Australia at war in Vietnam in 1967, suddenly Prime Minister Harold Holt disappeared without a trace—an event unparalleled in the history of western democracy. Four decades after Harold Holt’s bizarre disappearance at Cheviot Beach, a coronial inquiry confirmed that he had accidentally drowned. A Screen Australia Making History Production in association with Blackwattle Films. Developed and produced in association with the Australian Broadcasting Corporation. At the height of the Cold War, with the Vietnam War escalating, Holt moved Australia’s focus away from Britain and more towards America — substantially increasing Australia’s involvement in the Vietnam War. His impromptu speech on the White House lawn declaring himself ‘All the way with LBJ’ cemented his support for US President Johnson. 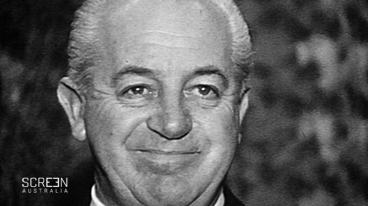 One of the hardest working of Australia’s Cabinet ministers, after 32 years as a parliamentarian, Harold Holt reached the prime ministerial office in 1966. Holt’s prime ministership represented a major social shift from the tradition and conservatism of the Menzies era, to that of the ‘swinging sixties’. Holt’s first prime ministerial statement announced the relaxation of restrictions that had blocked the entry of non-European migrants for 65 years. The Migration Act 1966 increased access to migrants other than those from Europe, including refugees fleeing Vietnam. This was the beginning of the dismantling of the ‘White Australia’ Policy. In 1966 he brought in Australia’s conversion to decimal currency. The following year on 27 May 1967 Australians overwhelmingly answered ‘yes’ to removing the discriminatory clause in Australia’s Constitution under which Aboriginal people were not counted in the census, and in changing the Constitution so that the Commonwealth parliament was empowered to legislate for Indigenous people. Many consider 1960s Australia to have been politically conservative. Find out how often coalition governments were returned to power at federal elections after 1949. Investigate what currency was introduced in Australia on 14 February 1966. Find out the words of the decimal currency jingle, circa 1965, with lyrics written by Ted Roberts, and sung to the tune of ‘Click go the Shears’. Why might a media campaign have been developed to support the introduction of decimal currency? Trace and describe the dismantling of the White Australia policy. What part did the Holt government play in this process. Investigate events surrounding Prime Minister Holt’s words to US President Johnson in July 1966, “All the way with LBJ”. What could Holt’s comment be seen to indicate about future Australian-USA relations? How was its use by Holt represented by the media and how did people react to him as a result? Harold Holt is acknowledged as the first Australian Prime Minister to electronic mass media to project a deliberately constructed public image. Describe the image he was keen to project. Discuss how current politicians use traditional and new media to present themselves. Would you agree that Australian society in the 1960s was politically and socially conservative? Why or why not? How would you describe Australian society now?